4 PAIRS-This has been a customer favorite for that past 3 years. 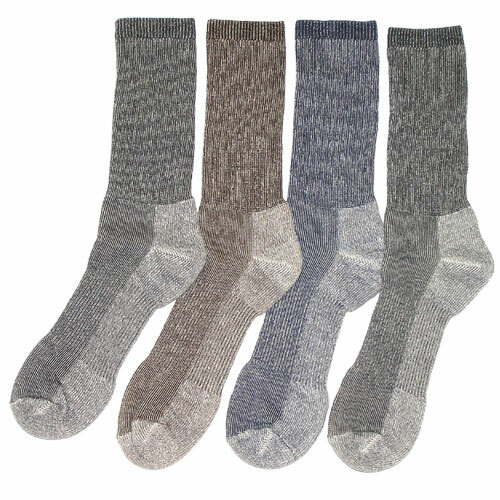 You won't find a better deal on super soft merino wool trail socks anywhere! You get 4 pairs of socks for just $24.95. These are great for outdoor use or just for staying warm. This merino wool blended fabric is durable, dry, wicks away moisture, super soft and very comfortable. 1 out of every 3 of our customers that purchase these come back and purchase more. Our manufacturer only makes these during the first few months of winter, so get them now while they are available.